The Social Security disability process can be both daunting and confusing. Initially, many legitimate claims are rejected. At Pyrros & Serres LLP, decades of experience helping thousands of clients with social security disability issues and SSI gives our attorneys a thorough understanding and exceptional knowledge of the process. Our lawyers can take your Social Security disability appeal at any stage of the process, whether you have just received notice of denial or you have initiated the appeal process. You can apply for Social Security Disability when you have been out of work for five months and are expected to be out of work for at least a year. Medical records are obtained and submitted to the Social Security Administration to support your application. the majority of cases are denied at this level and must be appealed within 60 days. An attorney who has extensive experience with social security disability claims and appeals is your best chance of a positive outcome in an appeal concerning wrongful denial of a valid Social Security disability claim. At an administrative hearing, you appear before an Administrative Law Judge to testify regarding your impairments and limitations. Subsequently, a written Notice of Decision will be rendered. If denied at the Appeals Council hearing level, you have 60 days to appeal your claim. The Appeals Council can reverse, remand or deny your claim. When you retain our firm to protect your legal rights in a Social Security disability appeal, we will start with a thorough investigation of the facts and circumstances of your injury or illness. Working closely with you, your attorney will gather, review and assess all documentation, including medical records and will prepare and file any pleadings or other forms required during the process. 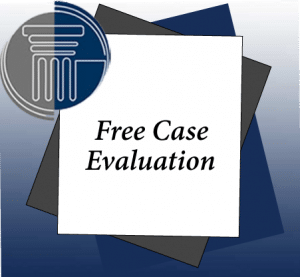 We understand that every case is unique and you can rest assured that we will take the time to learn the details of your situation, so that we can formulate the best strategy to appeal a claims denial and obtain positive results. Throughout your case, we make every effort to return your calls promptly and keep you up to date on the status of your case, so that you always know where you stand.